After awhile, I think all of us start to add a custom designed bike to our wish list. It makes sense after all. We spend so much time obsessing over available accessories and upgrades, combing over the internets, looking for just the right thing that will make us faster, or yes, that no one else in our riding group has. Getting an entire bike built up custom only seems like the next natural step, doesn’t it? So, where does someone go to get a beautiful, new custom hand-built ride to call your own? Well, how about to Runout Industries in Canmore, Alberta. 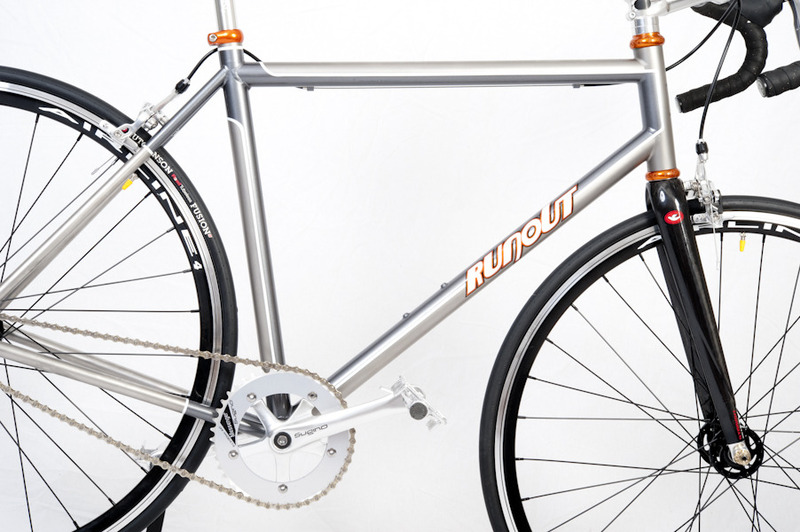 Chris Read from Runout Industries took the time to talk about what it takes to get into the bike build biz, his passion for riding and building, and his new shop opening this spring. Most riders like to wrench their own ride, but how does a person get into custom bike fabrication? I think for a lot of custom frame builders it is a union of two passions – working with your hands and your love of riding; at least that is what it was for me. I work as a design engineer and my job over the last 10 years brought me to the front lines of manufacturing a variety of products. A lot of what I design & build at my job on a day-to-day basis has the same fabrication fundamentals that exist in custom frame building (welding, machining, jig & fixture fabrication, etc). That exposure introduced me to a passion that I never expected to emerge. My fabrication & metal work experience from my career also allowed me to build a good skill set before I even thought about building my first frame. As for what triggered me to begin frame building, one day I just thought it would be interesting to build my own bicycle from scratch. I ride quite a lot and the prospect of actually constructing my own frame & riding it was too intriguing not to try. Once an idea gets planted in my mind it’s pretty challenging for me to uproot it; ask any of my friends! I did some initial research on frame building schools in 2008 and found the United Bicycle Institute (UBI). UBI is a school in Oregon that teaches custom frame building across a variety of disciplines (TIG welded Steel & Ti, fillet brazed & lugged frames). I registered and that got the ball rolling towards my own business. I’m a challenge – driven person and frame building seemed like something that would provide for that aspect of my personality; it hasn’t disappointed. Can you tell us more about UBI and the skills you developed there? UBI has facilities in Ashland & Portland in Oregon. 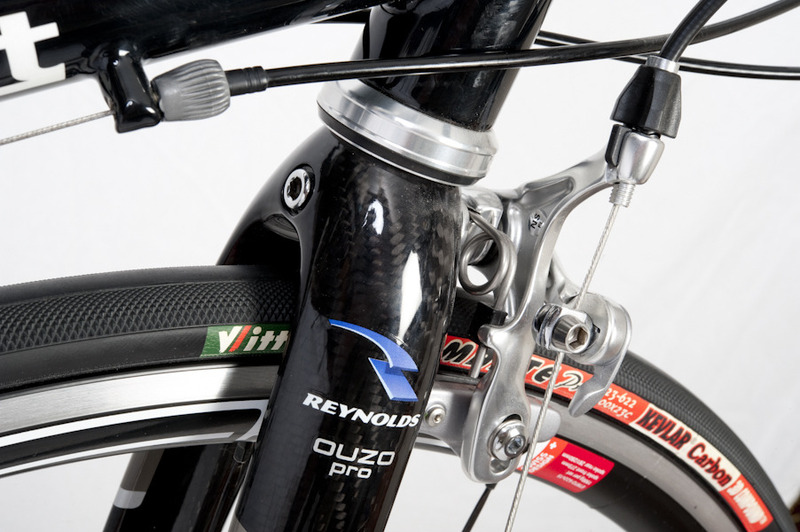 They focus on TIG (Tungsten Inert Gas) welded frame building in steel & titanium along with fillet brazed & lugged frames. They also offer a complete bike mechanics course curriculum. All the frame building courses offered at UBI assume no prior experience. The instructors teach you everything (welding, machining, hand skills, bike fit, material selection, etc.). My fabrication & metal working background from my job provided a good skill basis prior to attending and I can’t stress enough how much that helped in the frame building course. My previous experience in machining & welding allowed me to focus on the details that were unique to bike frame building instead of having to learn those details along with welding, machining and everything else. My previous experience made my first frame build go quite smoothly. The cross section of attendees at UBI were as varied as the bikes built. Several international attendees were present as were local US and Canadian students. I would say about 50-70% of the people that attend the course do it as a “holiday” solely for the personal satisfaction of building their own frame. The remaining attendees have some motivation towards custom frame building as a business or beyond that first frame you build at the school. There are some other facilities in the US and Europe that teach custom frame building, several do it on a one-on-one basis with the frame builder. Schools such as UBI are only one method to gain the training for custom frame building. Several custom frame builders are self-taught in the skills required. Others have been employed or apprenticed under other frame builders. Attending a school isn’t the only path to custom frame building. The school approach does allow someone to get a small taste for frame building before committing time and energy into it as a career path. How did you decide on the style of bikes you were going to build? Was it reflective of your own personal riding style? I offer all styles of bike frames including road, mountain, and cyclocross. I don’t limit myself to any particular frame type. I’ve even got a request from a friend for a custom titanium tricycle for their son & daughter! My first frame was a geometric copy of my old road bike but made in titanium; I wanted to make a frame that I knew worked for me and to see if frame building was something I wanted to pursue long term. My own personal style does gravitate towards road riding and touring, but living in the Rockies this close to the phenomenal mountain biking we have has certainly rubbed off on me. I am not limiting my frames to any one specific style, this gives me that much more. In construction style, I build strictly TIG welded bicycle frames in steel, stainless steel and titanium. I do offer some of the frame components like seat & chain stay assemblies in carbon fibre on road bike frames which I bond to the TIG welded portion of the frame. I choose TIG welded construction because it offers infinite variety in frame geometry & style, there are no material joining limitations (some frame materials like titanium can only be TIG welded) and TIG welding gives the greatest flexibility in construction for ride characteristics for my customers. TIG welding is also my personal fabrication specialty. It is very critical & challenging, probably why I like it so much. Is there something about your bikes that you hope will stand out in the custom build market, over other manufacturers? Being a custom frame builder, every bicycle I make is unique. 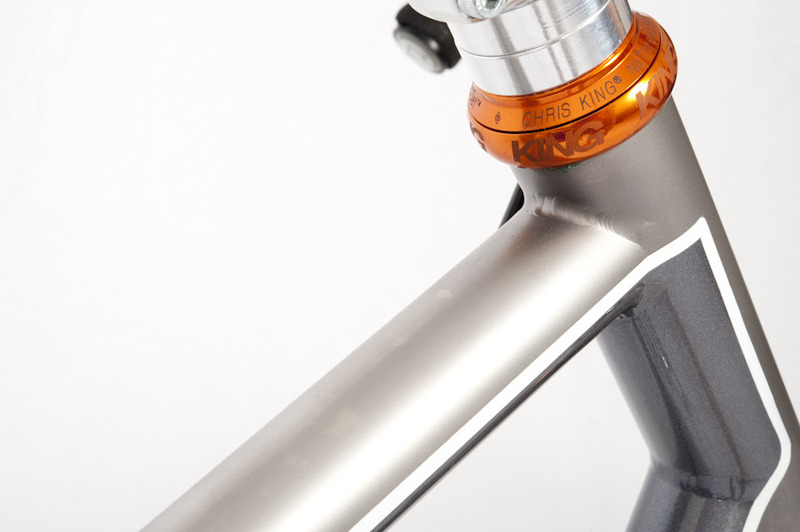 Not just because of material or geometry or finish but primarily because each customer and their demands of the bicycle is unique. Custom frame building is a completely reputation-based industry; if you talk to other builders much of their business is repeat customers and word-of-mouth. I make a quality bicycle, not just because I am a good welder or machinist. While welding & machining skills are an essential part of the building process, the actual manufacturing of the frame accounts for only about 30-40% of the final product. Customer interaction, fitting, frame design, style considerations, purchasing, accounting, shipping, etc. All these things add up to what it takes to make a custom frame a reality. You can be a great chef, but it doesn’t mean you would excel at owning a restaurant. That is where I stand out, ensuring each bike I make for every customer is a unique and rewarding experience for them and they go away with their new frame 100% satisfied. Knowing that the bicycles I have made for people are being used at full capacity and enjoyed with every pedal stroke is how I define success. That is why I do this and hopefully that makes me stand out in the crowd. My very first frame I made at the United Bicycle Institute tops the list. Attending the school & building the frame was an amazing experience in itself, but it was everything required after building the basic frame that really made the build memorable. I remember getting back from building that first frame & looking at it in its raw, unfinished state and creating a vision of the finished bike in my mind. Developing the artwork & graphics, choosing a logo & name, component selection, painting & final assembly – all of the details seemed pretty overwhelming but very rewarding. I didn’t let anyone see the bike until everything had been painted and the bike was completely assembled. When I showed my first bicycle to people & saw their initial reactions to the bike I knew I wanted to make custom bicycle building a career. I am also very proud of the single speed commuter I mad for my good friend Dave . It was memorable not so much because of the building & process as in my first bike but more because of my friend’s reaction to their new bike. When someone gets more than what they were looking for and are blown away by it you can see it in them – they don’t need to say anything. On some upcoming projects, I’m really looking forward to making some belt-driven bikes this spring and prototyping a full-suspension MTB over the winter. So what’s happening with the shop, and when can we expect Runout Industries to officially open its doors? I’m in the process of opening my own frame building shop. 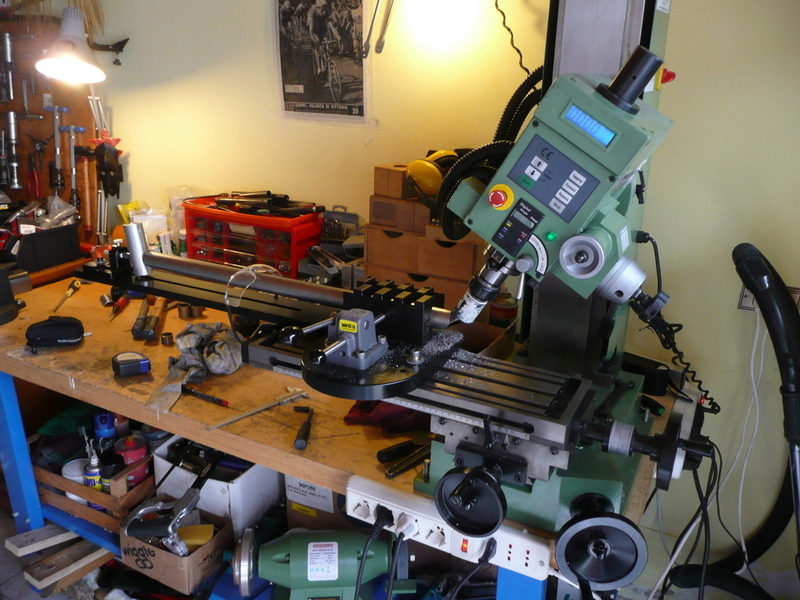 Over the last 8-12 months I’ve been making several tools required for custom frame building and purchasing other tools I cannot manufacture myself. Along with that I developed a website, finalized the artwork, paint finishes and logo selections I offer for my various frames, and started some marketing and advertising. These are just some of the detailed steps required to get the business off the ground. I work a day job in the engineering & manufacturing industry so the bulk of all of this is done in my spare time in the evenings and on weekends. I plan to have my shop open officially on May 1, 2011. I have been taking frame orders since the start of the New Year and will start construction on my first orders when I open up the shop. I am having a “Grand Opening” sale on my custom frames where I am offering 30% off standard prices until September 30, 2011. It’s been challenging to say the least, but it’s awesome to see my hard work & effort start to pay off. There. 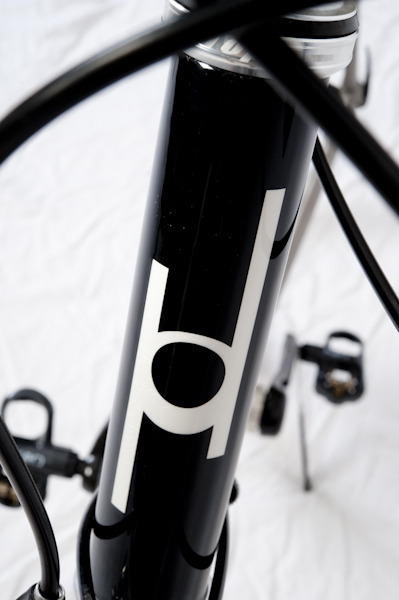 Now you know all you need to know about custom frame building and we can all make our own. That said, if you’re not quite up to the task of building a race-ready rig, you should email Chris Read here. You can also check in with all the latest at Runout Industries on their new Facebook page, here. Awesome to see bikes of this calibre being made right here in our backyard… Even though there weren’t a ton of bikes in the Facebook gallery I was super excited to see not only the quality of the build (as much as you can tell from a photo, anyway), but also the willingness to take on some ‘signature’ projects like the wheelchair on Facebook, or the Ti-Trike Chris mentioned in the interview. Yup, you’ll need to get over to the new shop and check it out. I can see Bikeridr on custom CX bikes.